For some folks, mysteries are two-sided stories. There’s always the central puzzle to solve: usually who left a corpse (or corpses) laying around. Then there’s the motive behind the misdeed. But what keeps a lot of mystery readers glued to the page is the thrill of the chase. They stay awake for hours, mentally following a Sam Spade or Cormoran Strike from one risky scenario to the next, taking on all comers in a fight to the finish. It’s grand entertainment when it’s done right. But they’re not on the menu today. This is a salute to the mega-brains of detective fiction, those sleuths who never break a sweat. Literature refers to them as “arm-chair detectives.” They’re Sedentarians, to me. relatives could be, none of them were a patch on Mycroft Holmes. 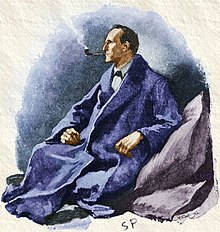 If you follow Arthur Conan Doyle’s stories, Mycroft first shows up in “The Adventure of the Greek Interpreter“, and has the dubious distinction of being the only person who can make Sherlock Holmes feel stupid. (It would be a sibling, right?) In many ways Mycroft is Sherlock on steroids; if Sherlock is smart, Mycroft is brilliant. Sherlock is difficult; Mycroft, impossible. But when Sherlock is confused, his bigger (in every way) brother is the person he turns to. Because, although he doesn’t move, Mycroft thinks. And his thoughts solve international mysteries without ever leaving his chair. It’s a great idea for a character right? Rex Stout must have thought so because he created another great armchair detective, Nero Wolfe. But, instead of being a supporting character, like Mycroft Holmes, Nero Wolfe carries 40 plus years of a detective series. With a chef to cook his meals and Archie Goodwin for checking details, Mr. Wolfe spends his time eating, gardening and solving crimes. And he’s damn good at it. But that brings up a fairly good point because few sedentarians work alone (Auguste Dupin may be the exception). For all of their perception and intelligence, Mycroft and Nero both need someone to do occasional leg-work. Another of the armchair detectives in contemporary fiction, Val McDermid’s, Stacy Chen knows she lives in two universes. In the asphalt-and-steel world, she doesn’t (and can’t) contribute much to her boss’s investigations; among other things, Stacy lacks social skills. But Stacy, in her chair, dances through a virtual world of information, where flesh-and-blood detectives have barely learned to crawl. And, for that reason alone, the future of the Sedentarian detectives like Lincoln Rhyme have a wide-open future in fiction. Armed with knowledge, technology, and first-class brains, a detective can investigate real crime in a virtual world. Or virtual crime here. Really, a socially-frustrated, hyper-intelligent, nosy-parker with wifi might be our next great detective hero. I’d sit down to read that! The child is father of the man, at least that’s what Wordsworth wrote. (Wasn’t he a loquacious so-&-so?) That means the things we love as kids often influence our tastes as adults. I am (unfortunately) old enough to acknowledge the truth in this observation, but I wonder if writers deliberately trade on this idea. After all, how do you create adult readers who’ll love Fantasy/Science Fiction? Wait until they’re old enough to vote and then give them a copy of Dune? No, you introduce them to the genre while they’re young, with kid’s stories written by great SF authors like Heinlein and LeGuin. But creating under-age Mystery readers is a slightly more difficult proposition. After all, Mysteries almost always involve Violent Crime, and we don’t want the Little Darlings to have nightmares. (Well, we may, but we won’t sell as many books if they do.) So how do you create the next generation of Nero Wolfe and Alex Cross fans? By giving them mysteries with juvenile detectives, of course! When I was first learning to read, there were three fictional superstars of kid-lit whodunits. Well, seven characters but three detective teams: Nancy Drew, the Bobbsey Twins and the Hardy Boys. On the page, they were the Wunderkinds. On one level, they all looked like ordinary kids with affluent, middle-class lives. Kids that most adults overlook. But look at them again, and you’ll see they’re junior adults. Nancy Drew is independent and talented, Frank and Joe Hardy never lose their nerve, and of the four Bobbsey Twins, only Freddie shows a mischevious streak. To me, that’s a flaw since no hero should be too good to identify with. Still, the subtext was clear: in some circumstances, if kids do the right things, they can rule. They’re as smart and brave as the adults and, if they match wits with any bad guy or bully, they can come out on top, usually without too much help from a parent. A sentiment guaranteed to make most kids cheer. A whole raft of fictional juvenile detectives have followed these prototypes from Encyclopedia Brown through Flavia deLuce and the newer heroes have more of a real-life kid’s feelings and issues. But the essence of the juvenile detective hasn’t changed: youth’s zeal and integrity, mixed with a world-class intelligence and the emotional maturity of an adult whenever the chips are down. Come to think of it, that’s winning combination at any age. There are all kinds of mystery stories, filled with all different types of detectives, but if you’re going back to the roots of the mystery series types, the Granddaddies of them have got to be Holmes and Watson. They’re the original Adama-&-Eve, Mutt-&-Jeff, Odd Couple detective team and the template they set up is fierce. The most noticeable team member is Sherlock Holmes, the world’s first and foremost consulting detective. Brilliant, acerbic, and emotionally detached almost to a pathological degree, he’s the star of the series and he knows it. But Holmes isn’t chasing villains for glory or cash; he’s in it for the fun and the science. Believe it or not, Arthur Conan Doyle introduced the world (and law enforcement agencies) to the world of criminal forensics through Holmes’s obsession with crime scene details and deductive logic. But, if Sherlock Holmes is so great, why did the author need Watson? Simple. Watson is the person who needs to tell the story because that’s the last thing Holmes would do. If “The Great Detective” decided to write up his adventures, what would he emphasize? Would he capture the creepy atmosphere of the The Great Grimpen Mire or dwell on the terrifying appearance of the Hound of the Baskervilles? No! Sherlock doesn’t see these things as important. A Holmes version of “The Hound of the Baskervilles” would consist of long narratives about newspaper fonts, the replication of certain facial features in familial descendants and (maybe) the application of phosphorus to flesh to create an unusual appearance. None of the Gothic Setting or chilling story would survive because Sherlock Holmes rarely notices these things. That’s one reason we need Watson. Another reason we need Watson is he’s our Point-of-View, the guy we identify with, our average Man on the Street. We learn to trust him implicitly. Sherlock Holmes is a master of subterfuge and obscurity but Watson always tells us just what he sees as soon as he sees it. Which makes the story all that much better when Holmes looks at the same puzzles Watson just described and comes up with an insightful answer. But, as much as the readers need Watson as a character, these two characters need each other. It’s the chemistry of this mismatched pair that creates the architecture of each story in the series and both characters bring out the best in each other. 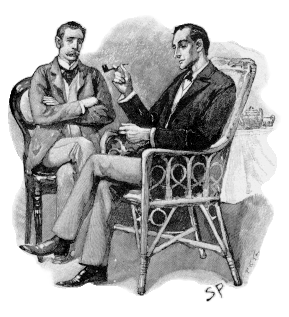 It’s my belief that the Holmes-&-Watson formula has been the basis of many a mystery series because it works so well. Look at Nick and Nora Charles, Morse & Lewis, Tony Hill & Carol Jordan. They’re crime-fighting Mutt-&-Jeffs who bring out the best in each other by being completely different people. They’re the descendants of Holmes & Watson. And If You are interested in more…. What Makes up a Great Mystery Series? Of all the fictional genres out there, one of the most-popular (if not the most) is the mystery novel. I’m not sure what it says about humanity, but almost half of us who read for enjoyment, find nothing more relaxing than curling up with a story about murder and mayhem. Maybe we like these stories because of the implicit drama involved, or we like the good guy/bad guy aspect. Maybe it’s the aspect of solving puzzles we favor. For whatever reason, a lot of people like mysteries. And some of the most successful mysteries are part of an ongoing series. Go hang out with a book club or the mystery/thriller section any bookstore around, and you’ll see what I mean. Sooner or later you’ll hear someone ask about “the latest Alex Cross” or “the next Kay Scarpetta,” which can sound a little odd, to a newbie. Fact is, both names belong to fictional sleuths who each star in their own best-selling series of mystery stories. And I’m talking about enormous popularity here, characters who inspire movies, and web pages and reams of fan-fiction and debate. So, I have to ask myself, Self, what keeps readers coming back? So I’d like to look at some popular mystery series during June when people are out at the beach, or in their hammock, head first in another tale about crime. But, instead of looking at an individual novel, let’s break down some successful mystery series, past, and present, and figure out what made/makes each one work. And I’d like to have your help. Now I have my favorites, same as everyone else, but I’d like to hear which ones you like and why. Do you favor a Mutt-&-Jeff team like Holmes and Watson? 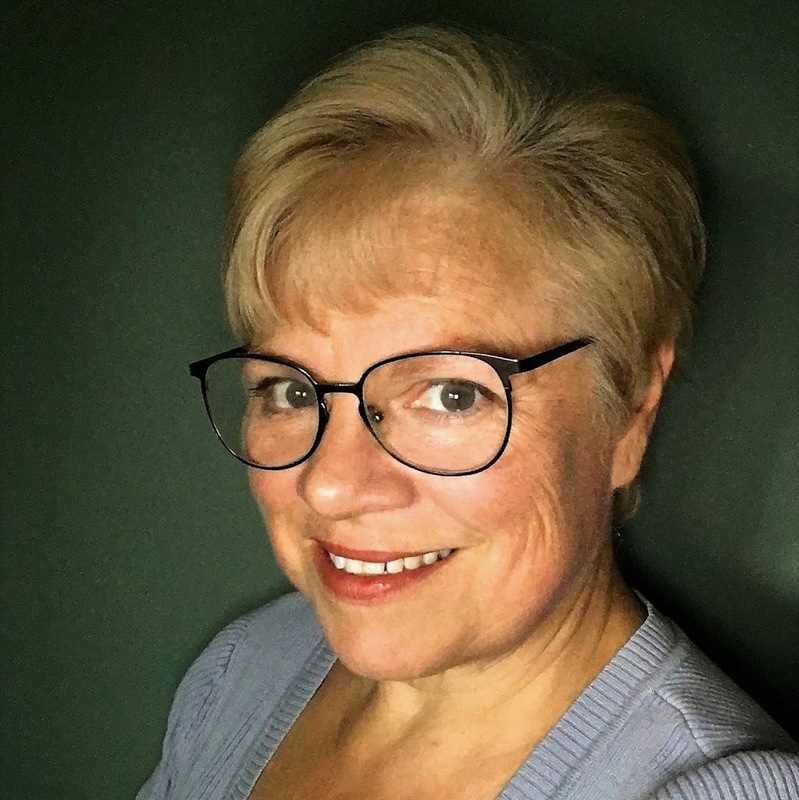 An amateur busybody, like Miss Jane Marple? A tortured justice professional, like Dr. Scarpetta? Or an endearing accidental detective, like Odelia Grey or Stephanie Plum? There’s no judgment here, I just want your feedback to learn what characters have really grabbed your imagination. And, yes, I’m always hoping to find another good book. So, fire up those grills, unpack those swimsuits and let’s get ready for some light summer reading. Just remember not to trip over the corpse that usually appears by Chapter 3! Well, fog works in stories, doesn’t it? The very nature of the phenomena creates confusion, where good things and bad are hidden, and individuals are isolated. Writers have been using fog as set-dressing, plot-device, and symbols for longer than I care to think about. Since we’re stuck inside until the sun breaks through, why not take a look one or two stories that turned these earth-bound clouds into art? Fog and England have been associated for so long, it’s practically become a cliche. Yet, if you are talking about bright, white, fog, forget about the stories of London. The soot and sulfur-filled clouds that permeate Bleak House and every Ripper tale ever written are peculiar to the city. Instead, look toward the southern coast for one of the greatest Gothic stories ever penned: Arthur Conan Doyle’s The Hound of the Baskervilles. Here, fog is used as a plot device to heighten suspense and terror during the story’s climax. Holmes and Watson are running through the Great Grimpen Mire (what a name!) to catch the villain and foil his plot. The thick fog slows down our rescuers and blinds them to the approach of the terrible Hound until the last second. But the fog is even-handed in its justice.Just as it keeps our heroes from seeing where danger is, it hides the escape route from the criminal of this piece. Unable to find his safety markers in the fog, our bad guy gets lost in the quagmire of a peat bog and comes (we assume) to a wet, miserable end. However, the fog and bog add a note of mystery. Because the criminal’s body is never found, Conan Doyle left open the possibility open for him to survive and return from the fog to threaten Holmes in a sequel! As isolating and dangerous as the fog can be, there are those that welcome it. To Edmund Tyrone, and his mother, Mary, in Long Day’s Journey into Night, fog creates an illusion of isolation. It also symbolizes Edmund’s active alcoholism and Mary’s addiction to morphine. As the drugs isolate them from reality, Edmund describes how fog transforms their world into a place where “Nothing was what it is. That’s what I wanted—to be alone with myself in another world where truth is untrue, and life can hide from itself.” As for Mary, she admits,”I really love fog. It hides you from the world and the world from you. You feel that everything has changed, and nothing is what it seemed to be. No one can find or touch you anymore. It’s the foghorn I hate. It won’t let you alone. It keeps reminding you, and warning you, and calling you back.” Notice that neither character believes the fog makes them happier or better people; these tortured souls aren’t seeking happiness, but distance. The fog isolates them from their underlying feelings and their problems. Of course, like other wanderers in the mist, these two can’t find their way out of this half-life because they can’t tell how lost they are. Cottage, but it sure isn’t cheery either! If you think of this play as autobiography, it’s amazing to realize these are the two family members who found their way out of the mist. O’Neill (as Edmund) eventually chose life and his work. His mother, by realizing her disease had a spiritual as well as physical component, found recovery through a religious retreat. Ultimately, the fog’s illusion of comfort wasn’t enough for the real people. That’s what fog ultimately means for people, in fiction and real life: confusion and the illusion of isolation from reality. In the end, we have to deal with whatever comes along, even if it’s illness or a big, scary dog. No matter what the mist obscures, we aren’t that far apart from each other. That’s something we’ll all see when the sun comes out again. Yesterday was the 65th anniversary of Queen Elizabeth’s accession to the throne. It’s an incredible milestone, one no other ruler of England has attained, and she deserves all the honor and respect she gets. The woman has seen a lot of changes during her reign, but that’s not what England should celebrate today. Today marks the 205th birthday of Charles Dickens, one of the most influential Britons and writers of any time. He didn’t just watch the world change, he changed our language and world with his stories. He was the literary Colossus of the Victorian Age, and his influence is still felt today. The life of Dickens holds enough drama to fuel a multi-season mini-series. His terrible childhood has become so well-known we label all other impoverished, chaotic beginnings as “Dickensian.” The funny thing is, he tried to hide these facts for years. Destitution was considered a social and character defect in the Regency and Victorian Eras and Dickens spent much of his life’s energy trying to get as far away from his impoverished past as he could. That drive turned him into a law clerk, a court reporter, a freelance journalist and finally a novelist. Like any good storyteller, he wrote about what he knew. And his stories changed our world. After witnessing how poverty corrupts and ruins lives, he wrote Oliver Twist and satirized the Poor Laws that punished the very people they were supposed to help. The book exposed the disgusting London slum, Jacob’s Island, to a heretofore unsuspecting public, who cleaned up the area so thoroughly that thirteen years later one bureaucrat insisted it never existed! In Nicholas Nickleby, Dickens wrote about the system of farming unwanted children out to boarding schools in Yorkshire where kids were neglected instead of educated. An investigation shut that practice down. In Bleak House, in The Old Curiosity Shop, in Hard Times, and more, Dickens attacked some social evil. And because his books sold like hotcakes, his readers followed his pen to the trouble and tried to correct the wrongs. Best-sellers! It’s hard to compare the popularity of any novelist writing today with Dickens. J. K. Rowling came closest with the midnight publication parties for her Harry Potter series. But those were orchestrated affairs hosted by the bookstores. Now, imagine yourself in Victorian times. Dickens doesn’t publish a whole novel all at once, he serializes chapters in a magazine. If you want to read the latest installment, you have to get each new issue of the journal. In America, people gathered in droves on the wharves, to get the new issues as they came off the ship! This wasn’t some publisher’s or PR agent’s operation, these were people who couldn’t wait any longer to find out what happened to Nell Trent or Little Emily! Readers are crazy people, but they wouldn’t have done that if the man hadn’t created wonderful characters and stories. Of course, his characters have entered our lexicon. The saintly, too-good-to-live girl is known as Little Nell, and an insincere toady is labeled Uriah Heep. (By the way, Dickens had a way of naming his characters that was second to none. You don’t have to meet Wackford Squeers, Fagin, Quilip, or Uriah Heep to know they are all villains; the sounds of their names are enough.) And people who have never picked up one of Mr. Dickens’s books still know the worst miser is a “Scrooge.” That single story, The Christmas Carol, changed how we celebrate the holiday. It used to be a relatively minor festival in the Christian calendar. Now it’s a season of family, parties, and charity because Dickens wrote about it that way. Am I saying he was the world’s greatest man or subtle writer? Of course not. There’s a fair amount of evidence suggesting he had faults as a family man and Ellen Ternen knew he was no saint. The way he treated his wife when their marriage fell apart is enough to make a feminist cringe. And, as entertaining as many of his characters are, they lack the complexity and depth of real people. There are too many coincidences and far too much sentiment in a lot of his stories. But that doesn’t make them any less compelling. And his influence doesn’t lessen with the years. So, pull out your noisemakers and cheer old “Boz” as he was known then. Over-blown, over-sensitive, over-dramatic, Boz, who could tell a story that made you laugh, cry, and shiver with fear. Boz who made money telling people what was wrong with the world and said it so well his readers tried to make it better. With Shakespeare and the Beatles, he may be one of Britain’s finest exports. We’re lucky he came our way.